These advanced driver assistance systems (ADAS) -- including blind-spot monitoring, forward-collision warning and lane-keeping assist -- can, when used properly, make your driving safer. But many drivers are unaware of the limitations of these advances, the authors of the report said. "When properly utilized, advanced driver assistance system technologies have the potential to prevent 40 percent of all vehicle crashes and nearly 30 percent of traffic deaths," said Dr. David Yang, executive director of the AAA Foundation for Traffic Safety. But the new findings, published Sept. 26 by the foundation, show that a lot of work needs to be done in educating drivers about the limitations of these devices and their proper use, he added. For example, nearly eight out of 10 drivers with blind-spot monitoring systems didn't know the limitations of this feature. These systems only work when a car is traveling in a driver's blind spot, and many systems do not detect vehicles traveling at high speeds. Not understanding driver assistance systems may lead to misuse or over-reliance and could result in a deadly crash, the researchers said. In the United States in 2016, more than 37,400 people were killed in traffic crashes -- a 5 percent increase from 2015, according to a AAA news release. For the new study, researchers from the University of Iowa surveyed drivers who purchased a 2016 or 2017 car with ADAS technologies. The investigators evaluated drivers' opinions, awareness and understanding of these safety features, and found that most did not know or understand the limitations of these systems. Most drivers (80 percent) did not know the limitations of blind-spot detectors. Many incorrectly believed that the systems could monitor the road behind the car or reliably detect bicycles, pedestrians and vehicles passing at high speed. As for forward-collision warning and automatic emergency braking systems, nearly 40 percent did not know the systems' limits or confused the two technologies. Drivers incorrectly assumed that forward-collision warning would apply the brakes in the case of an emergency, but the technology is only designed to deliver a warning signal, the researchers said. In addition, one in six drivers didn't know if their vehicle had automatic emergency braking. About 25 percent of drivers felt comfortable that blind-spot systems would pick up pedestrians and traffic, so they didn't do visual checks or look over their shoulder for oncoming traffic or pedestrians. Moreover, about 25 percent of drivers with forward-collision warning or lane-departure warning systems felt comfortable doing other tasks while driving. 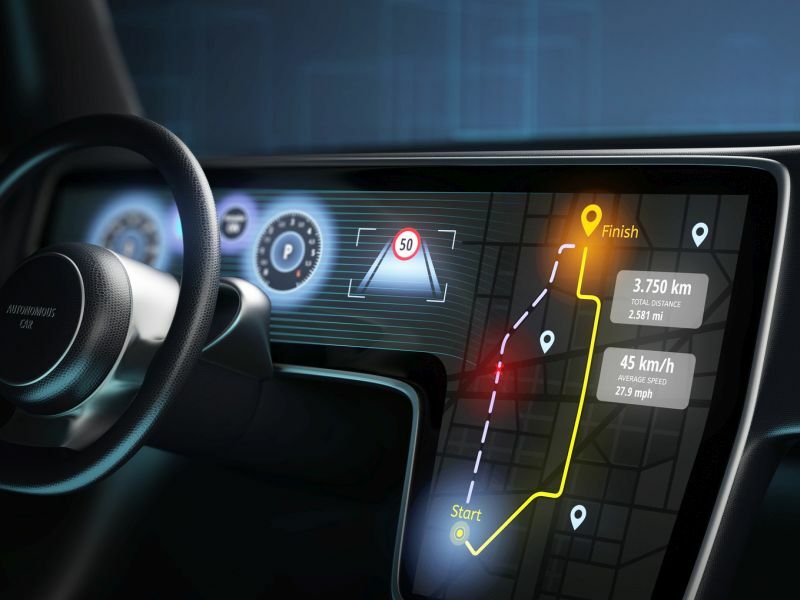 "New vehicle safety technology is designed to make driving safer, but it does not replace the important role each of us plays behind the wheel," Yang said in the news release. These findings should motivate more focus on the importance of educating new and used car buyers about how safety technologies work, the study authors said. Only about half of the drivers who purchased a new car from a dealership recalled being offered training on the new technology. Among those who were, nearly 90 percent completed the training. AAA advises all new car owners to read up on the car's safety devices and actually see how they work. Drivers should also ask the dealer questions to be sure they understand what these safety features will and will not do.